This volume contains the first part of the philosophical and methodological foundations of the formal sciences, i. e. logics and mathematics. 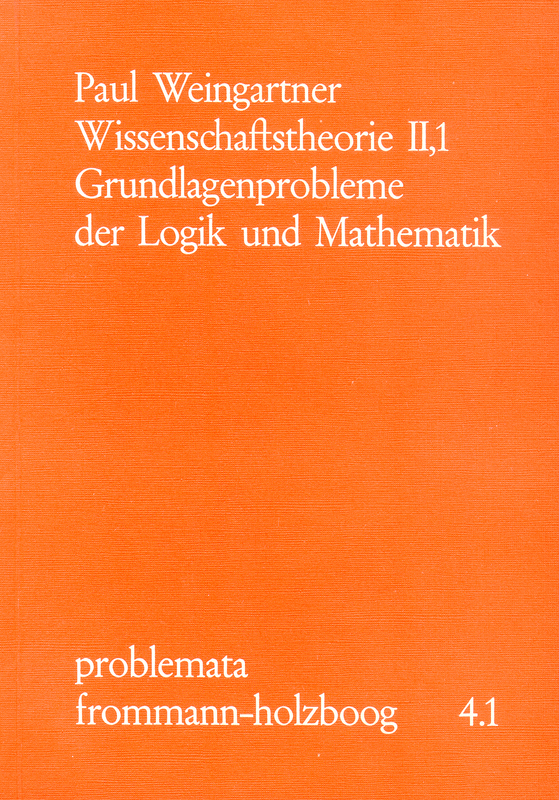 While the first volume is a general introduction to basic problems in the Philosophy of Science this second volume deals with the problems of a more special kind: The subject and universe of discourse of logic and mathematics with its subproblems of similarities and differences between the two disciplines are discussed and a proposal for a criterion of demarcation between logics and mathematics is given (chapter 2). Chapter 3 is concerned with the problems of sign and signification, meaning, ambiguity, levels of meaning, analogy, abstraction and definition. A detailed theory of extension and intension is developed and precise definitions are given for meaning level, different kinds of analogy and abstraction. In chapter 4 the structure of atomic propositions is discussed under both its logical and ontological aspects: individual and property, element and class, part and whole. This volume will be continued with a second part dealing with the structure of compound propositions, connectives, identity, description, deduction, truth and deductive system and finally with some of the basic positions in the foundations of logic and mathematics.